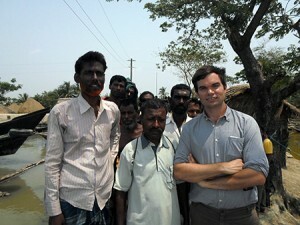 Muhammad Shahjahan, Team Leader of Bangladesh Housing, Land and Property Rights Initiative of Young Power in Social Action (YPSA) and Ezekiel Simperingham, Bangladesh HLP Initiative Coordinator of Displacement Solutions participated in the consultation program. The participants expressed their appreciation to the Government of Bangladesh for hosting and the Chairmanship of the Nansen Initiative and IOM Bangladesh for supporting this important consultation. 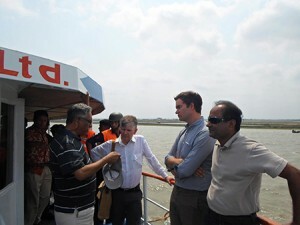 They particularly appreciated the opportunity to experience first-hand the challenges faced by victims of disasters and climate change living in Dacop Sutarkhali Union, Bangladesh, and recognized their plight. The participants welcomed the Nansen Initiative, which is a state-led, bottom-up consultative process intended to build consensus on a protection agenda that addresses the needs of people displaced across borders in the context of sudden and slow-onset disasters and the effects of climate change. 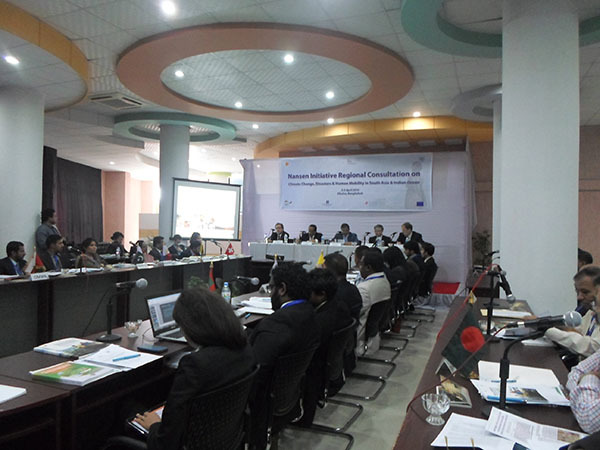 These conclusions from the South Asia and Indian Ocean Regional Consultation, along with those from other regional consultations, will be submitted to the Nansen Initiative Global Consultation that will take place in Geneva in October 2015, and shared within relevantregional and international fora, including the UNFCCC negotiations and the World Humanitarian Summit. Noting the multi-causal nature of displacement, participants expressed concern that the impacts of climate change combined with rapidly growing, densely populated urban areas, population growth, and pre-existing vulnerabilities linked to social inequalities and poverty are likely to increase displacement and migration in the future, including across international borders. They highlighted that such effects threaten affected persons’ full enjoyment of human rights, including by damaging housing and infrastructure, restricting resource availability, and negatively impacting livelihoods and food security, especially for small, agrarian, and marginalized households in low-lying and mountain areas. In the consultation meeting YPSA set up a stall of organizational publication based on climate change and climate displacement issues and handover these publications to honorable guests and participants. They highly appreciated the importance of this resourceful publications.